I’ve started and restarted this piece a thousand times. It’s hard to express myself in such vulnerable terms when it comes to the topics discussed in this piece. Sharing these sentiments make me feel uncomfortable, but I decided to leave comfort behind in 2018 in exchange for the vast possibilities for my life in 2019 and beyond. I believe in the importance of an abundance mindset and continue to struggle with thinking that I lack something. My family and I have enough stuff, yet there are parts of me that continue to want more for myself, my wife, and three children. I have plenty to be grateful for, today. For starters, I am alive and healthy. This morning I put clothes on my body after a warm shower. My family and I shared a healthy breakfast. Within fifteen minutes, I arrived at my job without a car accident. I could go on with the multitude of blessings in my life today. And sometimes, I feel like I don’t have enough. I have so much credit card and student loan debt that I feel shameful to admit. I’ve been wearing the same limited wardrobe for about three years. I would love to get my children an additional school uniform. My wife needs more clothing and shoes. They have all they need and more! It’s important that I remind myself I have enough. I have clothes. My children attend a private school with adequate resources. My wife has some clothes. Credit card and student loan payments get paid each month. Sure, I don’t have much left over after buying groceries and fulfilling other financial responsibilities, but I have enough. It is difficult to find satisfaction with the things you have in societies that celebrate consumerism. If you watch television or spend any time online, then it is inevitable to see an advertisement for some new product or service. It is easy to feel inadequate without the latest gadget in your back pocket. I no longer live in the United States, but my roots are strong, and I still find that itch to shop ever so often. When you live on an island, as I do, the options for goods and services are limited and expensive. I believe that material objects do not define a person’s value, and it remains difficult to break the desire for more things. We arrived on the island of Antigua in July with limited resources. The two years before relocating here included time in Mexico where my wife and I were worked to build our businesses. With most entrepreneurial ventures, you have high and low-profit seasons. Mexico was a low-profit season. We had enough to cover our expenses for many months, but the gaps with consistent income set us back. Increasingly, we had to rely on credit cards to cover our bills. We had a mortgage back in the States that, I discussed in my last piece posted to this platform. 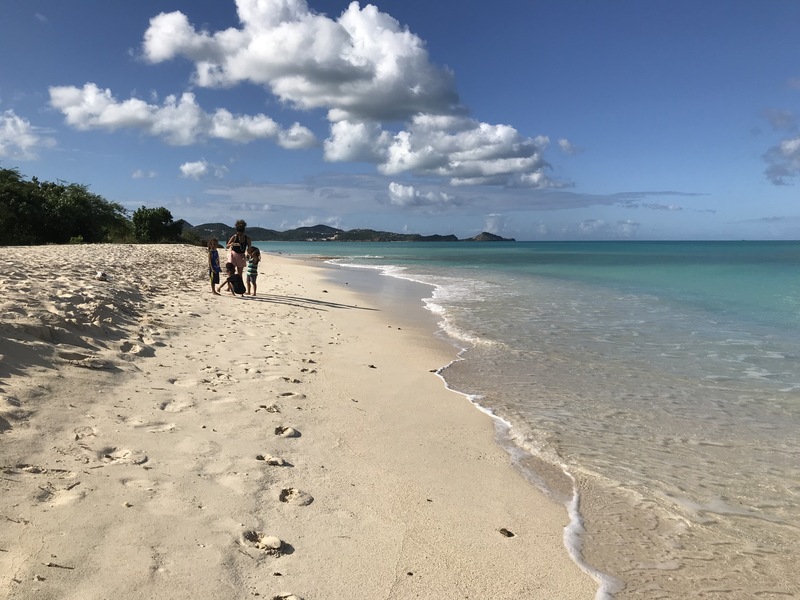 I took the position in Antigua because it was an excellent opportunity to get back in the classroom and start the process of digging ourselves out of a deep financial hole. While I have a good salary, we maintain a strict monthly budget. The cost of living on the island of Antigua is high and with our past debt, some months present significant challenges. Regardless of my current income, I am determined not to let money control my mind. You possess the strength to control your mindset also. We are here for purposes, more significant than ourselves. Each day is an opportunity to expand and improve. Today, December 28, 2018, begins my 2019 where I will remind myself that I have more than enough. I am only experiencing a season, and the growth that comes with spring is around the corner. I encourage you also to focus on what you do have, be grateful, and remain humble while doing the work today that can present tomorrow’s opportunities. To discover your purpose today that can lead into an incredible 2019, register your email address on my site and receive a free guide. Vernon C. Lindsay, Ph.D. is an author, capoeirista, and leadership coach. Through his writings, workshops, keynote speeches, and individualized coaching services he offers tangible strategies to achieve success in the personal and professional lives of people. 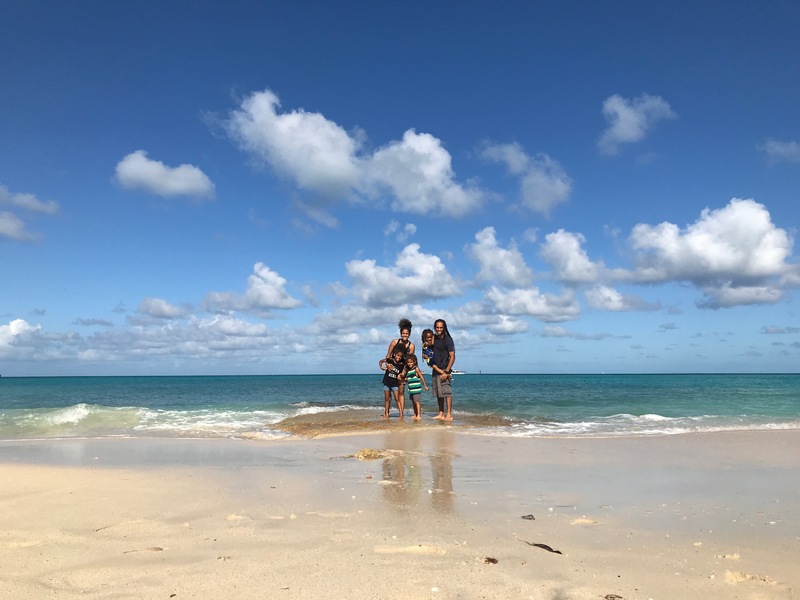 Dr. Lindsay currently lives in Antigua with his wife and three children, where he dedicates time to his callings as a husband, father, and entrepreneur.